I always intended to learn to knit socks eventually, but thought they were probably too complicated for a beginner. I had just convinced myself I could do it if I put my mind to it when I came across a pack of sock wool in the german supermarket Aldi. Enough wool for two pairs of socks and a set of double-pointed needles, all for €6! So I gave it a try. 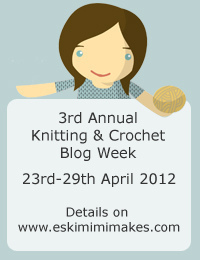 I downloaded a free e-book from knittingdaily.com and used a sock pattern which can be found here. It's lovely, but far too hard to get on and off, probably because I doubled the yarn to make the socks thicker. So instead of knitting the second sock, I'm getting started on another pair. 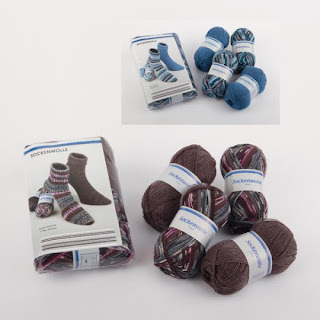 I was in Aldi again yesterday and found the last pack of this sock wool on sale for €2.50, so I have a feeling I'll be knitting socks for the next while! How disappointing! Could a stretchier bind off have helped? I don't think so, the whole ankle is too tight. My next sock is much stretchier though! I'm glad you aren't giving up on sock knitting. And thanks for letting me know about the Swiss German word for bike.